City DPRD's Commission B, held a meeting to discuss the Transportation Dept. activities in the 2018 APBD Amendment's KUA-PPAS.
" If there are additional activities, just request. 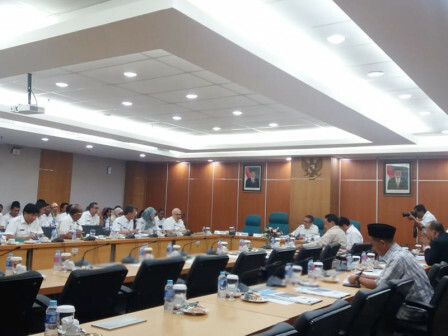 Likewise if there is a reduction, just tell us"
Mualif, Secretary of City DPRD's Commission B said that the meeting was held to find out the activities of Transportation Dept. "If there are additional activities, just request. Likewise if there is a reduction, just tell us," he expressed, Wednesday (8/29). Responding on this matter, City Transportation Dept. Head, Andri Yansyah explained that his sub-dept. proposed 408 activities. From that number, 336 out of them have been realized. In APBD Amendment's KUA-PPAS, he proposed additional budget for 45 activities and budget reduction for 33 activities. "There are three new activities and five other activities are stopped. So we have 406 activities," he said.